rated 5/ 5 from 21 customers! We offer standard breed-clips as well as custom clips for those people who know exactly what they want done. 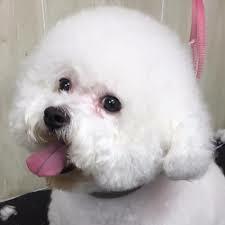 We will be glad to work with you and your pet to be sure that you get the best grooming services available. We also offer medicated baths for those dogs/cats with dry, itchy skin as well as flea and tick treatments if needed. 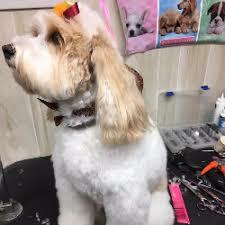 It is important for you and your pet to get familiar with the groomer so that both of you are at ease and feel comfortable with the grooming process. Going on a trip but can't take your best friend? Bring your pet to enjoy a wonderful stay with us. When calling for price quote, remember that each individual dog is different. Pricing varies depending on condition, temperament and special requests from clients, the best estimate can be given sight on scene with our groomer. Wanted to say the first thing I noticed was Axel was happy and relaxed with everyone. They did a great job and glad my husband and I have found our place for our baby. Thank you for being a place that cares for our baby. Pricing varies depending on condition, temperament and special requests from clients, the best estimate can be given sight on scene with our groomer. For a really good estimate, feel free to give us a call during normal business hours. Our staff will be happy to assist you with cost and availability. Our team is dedicated to fair pricing for the very best grooming we can possibly imagine. We check teeth, ears and look out for any unusual growths that you the owner may not notice. We do not replace the proper veterinarian care your dog needs, we just help look out for the best for your dog and suggest some things that may need vet attention. My father, Ronald Bailey, was a veterinarian. In 1965, having just graduated from the University of Minnesota, he left Minnesota where he had grown up and set off to take his board exams in several Southwestern states (It was his desire to be able to practice and raise his family in a warmer climate). Passing through Arkansas on his way to his targeted states, he was struck by the state’s natural beauty, and he made plans to return on the way home and take his boards there as well. A few months later, having secured his license in Arkansas, he returned to live with his young family and beloved Old English Sheepdog. I was 2 months old. After working for another vet for 2 years, he was ready to strike out on his own and purchased the land we now occupy. At the time the land was located outside of town along what was then a quiet two lane Highway 10. He was firmly convinced he picked a good spot because he expected Little Rock to expand westward. 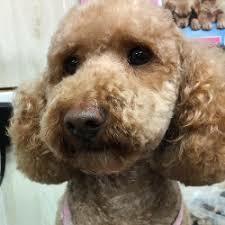 He built his small practice and offered veterinary as well as boarding and bathing services. Most of his clients were the “country folk” who lived in the area as it was quite a drive for most people living “in town”. Over time, Little Rock did indeed move west, and this coupled with his reputation brought in a growing clientele. It was truly a family affair with Mom running the office and my older brother Jon and myself acting as kennel help. In 1974, Dad felt the time was right to expand and another building was erected on the property and he moved his practice. A longtime friend and client leased the old building and, naming it “The Shaggy Dog”, offered boarding and grooming services. Both businesses prospered and the decision was made to expand the kennel building adding more runs and space for the expanding grooming business. The arrangement lasted a number of years and subsequently, while the kennel remained in continuous operation, it did pass through a few different management arrangements. In 1990, Dad was again in need of someone to run the kennel and I was available having recently returned to Little Rock and given birth to my second son. So, I packed my son up at 6 weeks and stepped in to temporarily run the business and get it back on its feet. 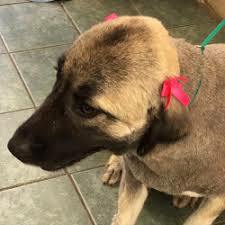 After a few years the demands of running a boarding kennel open 24/7combined with the demands of raising a young family proved to be quite difficult, so I chose to move a few blocks down the street to operate a smaller grooming only shop (Bubbles & Bows),leaving the kennel in the care of another manager. This arrangement was short-lived when the person entrusted to manage the kennel departed abruptly, leaving at a time when my father’s health began to falter. I stepped back into help, juggling my busy shop with helping out the family with the increasingly busy Happy Days. A few months ago, we made the decision to merge the 2 businesses. This is indeed a family affair. 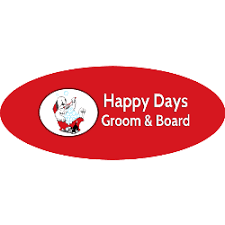 We function as a close knit team at Happy Days. 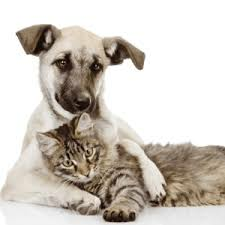 Together we are committed to maintaining a clean, healthy environment and providing the best possible care for each beloved family pet entrusted to our care, We are also committed to treating our 2 legged and our 4 legged clients with compassion and respect. You will find us to be both professional and warm. The bath was quick and looks great! Thank you.... great customer service! Excellent care & attention with my 3 puppy babies! Beautifully groomed!